Drive restaurant visitors to the funnel by offering them a free cake or coffee. 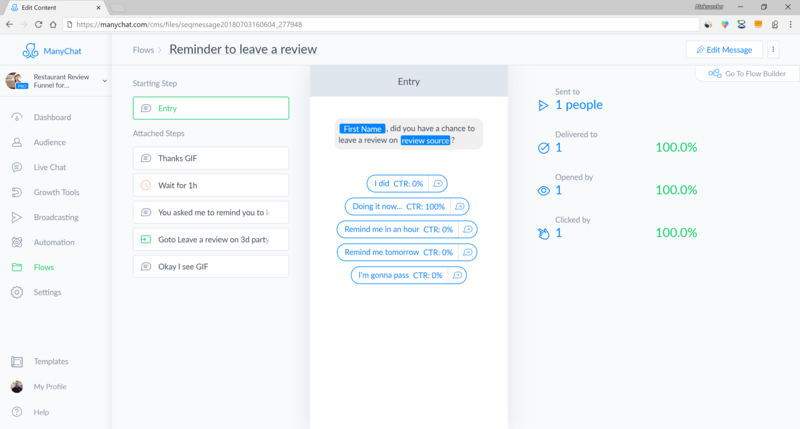 At the end of every chat session, the bot asks users to leave review. Reviews are great but how to drive users to the bot? It's one of the most important questions every marketer needs to answer before running a Messenger Marketing campaign. 2. How to get users? 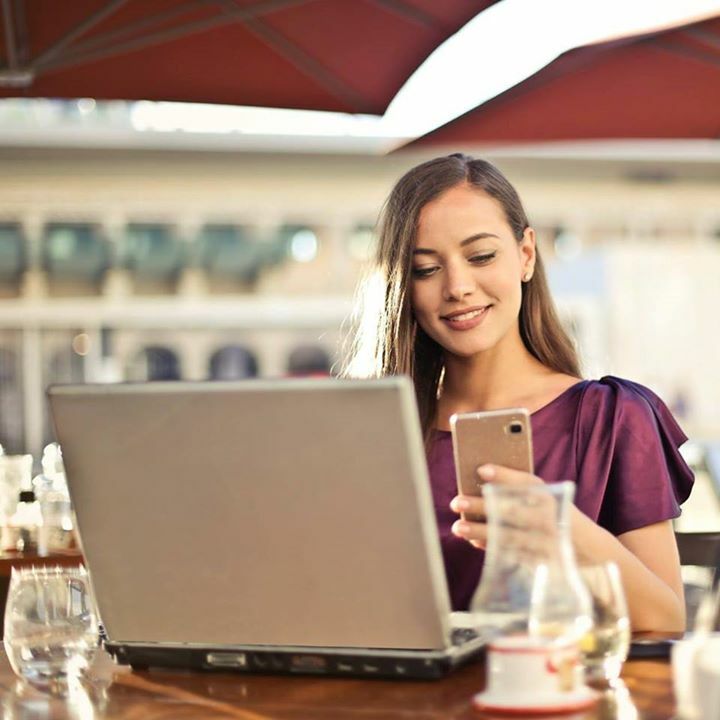 Once visitors paid the bill and are ready to leave the restaurant a waiter asks them to leave a review using a Messenger Bot. A waiter shows how to scan the QR using the Messenger app. But wait, there should be a reason why would restaurant visitors scan the QR code in order to leave a review? What it can be? Right, something they'll get for free. Like a free coffee or a free cake. 4. Wait, free coffee for everyone? No, instead of just give away a free coffee or cake to everyone run a giveaway contest. It means every week/month give away a cake for free to a randomly selected winner from the list of people who reviewed the venue. Only users who give 5/5 are prompted to leave a review on third party services. Google Maps, Facebook, TripAdvisor or Yelp. The bot supports Google Maps, Facebook, and Yelp. If needed, you can add TripAdvisor or any other review web sites. 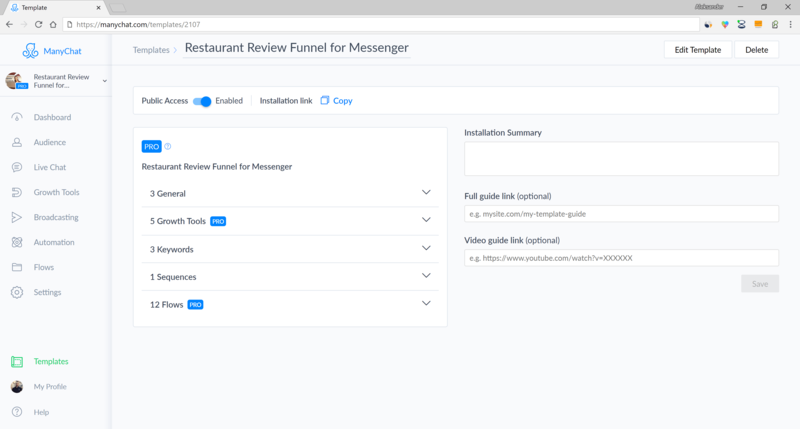 The chatbot automatically sends both positive and negative reviews to the restaurant administrators. 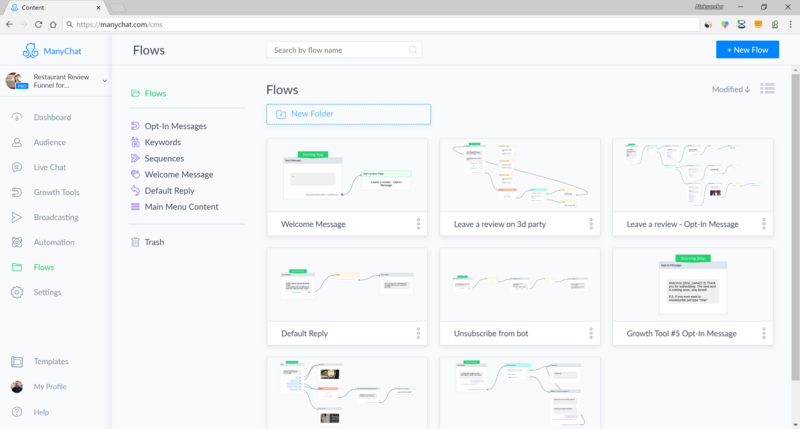 The funnel comes with 2 automatic reminders that get back not converted users to the bot and as the result, again, increases the conversions.